"Sweating strangers stand over piles of other people's sorrows and pain, along with my old resentments, worn stories of betrayal and missed chances. I pictured walking away from a pile of that baggage, leaving it there on the hot asphalt." Drawing from both her personal experience and her insights as a minister and therapist, Barnhouse urges readers to let go of regrets and stress about the future and to surrender to circumstance during times of conflict. Her motto: Don�t just do something, stand there. 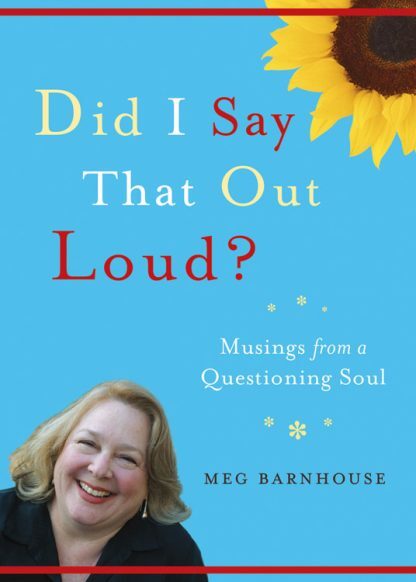 Barnhouse�s humorous and hopeful message is that faith in family, friends, and one�s self, rather than sudden actions, provides the guidance necessary to weather life�s problems and personal struggles.